To leave feedback about your own photographic experience, please click HERE. Mahalo for your expressed thoughts, sentiments and suggestions! My family needed new pictures for our family portrait, and we thought our first trip to Maui would be a perfect time to do this. I found Jen via Yelp and I'm very happy I contacted her. All the previous Yelp reviews were spot on. From the beginning, Jen was very communicative and helpful in setting up our photo session. She recommended a variety of locations and in the end we found a spot that worked well for us, especially because we have an infant son. Jen arrived on time and we felt very comfortable because of her warm personality and professionalism. Our session went very well and she even gave us a few extra minutes so she could capture some extra shots that we wanted. Afterwards she gave us some great recommendations for sights around the island. When we saw the final pictures, we were extremely happy and we asked Jen to upgrade our package because there were too many good pictures! Overall we had a great experience working with Jen and we would love to work with her again in the future. Thanks for helping us capture our trip to Maui, Jen! Amazing photos! We were able to work with Jen when our family visited Maui last fall. She was quick to respond to my initial inquiry, even while traveling abroad, and kept excellent contact throughout the entire process. When our chosen location ended up being too windy she was able to suggest another beach and work with the wind and landscape. She was even able to work with our 18 month old's dislike of sand and get great poses. Jen's attention to detail really shows in every photo and we will definitely contact her for another photo shoot when we return to Maui. Our sneak peeks came in super fast and our final images just as quick. I was impressed with Jen from the very first message I sent her simply on an inquiry and have continued to be impressed even after our final images have been received. 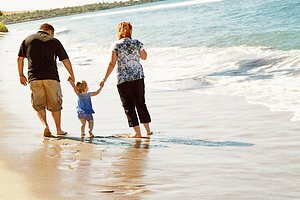 We love Maui and as we need updates on our family images A Place in Time Photography will be our go to. Not only is Jen my favorite photographer on Maui, but also one of my favorite people. Her easy to get along with personality, vibrant smile, relaxed mannerisms and talent behind the lens make her the perfect person for all of your photography needs. My camera-shy dog felt completely at ease during our pet portrait session with Jen. Personally, I hate having my picture taken but Jen takes the stress level completely out of the equation. She is a wonderful "people-person" and it definitely conveys to her clients. I have turned to Jen many times for real estate photos and she never disappoints. Even with challenging schedules, due to rental check-ins and departures, Jen has always made it happen and the results are remarkable. I can't say enough positive things about A Place in Time Photography. It is without a doubt the best choice for any and all photography on Maui. Jen was absolutely amazing to work with! My little family of three was on vacation and we were hoping to get a photo to announce the arrival of our newest addition to the family. We realized that it would be much better to have a photographer capture the moment instead of trying to find someone random on the beach to do it for us. Since it was near the holidays we also knew there was an added bonus of using the photos for our Christmas cards. I found Jen after searching Yelp and reading all of the fabulous reviews about her. After looking at her portfolio, I realized her photography was completely our style, so I shot her a quick email, letting her know that we only had a few days left of our vacation and hoping she would have time to fit us in. She got back to me within 10 minutes and was able to fit us in a couple of days later. Jen was wonderful to work with during the session! She was so understanding of working with our two-year-old -- keeping her attention and getting her to smile. She did such a great job of getting her to say "cheese" in all kinds of creative ways. We had the best time! And of course to top it all off the photos in the end were amazing. We had a hard time choosing which ones we wanted, there were so many good ones. I highly recommend Jen and we'll definitely be using her again when we go back to Maui. Jen is a fantastic photographer with an eye for capturing the best of your family. During our session she provided perfect suggestions for locations, backdrops and more to get great shots of our kids and our entire family. We got both posed and candid shots that we LOVE. Her editing makes the lighting and subjects picture perfect. She is also reliable, communicates well, and meets all delivery dates. She truly exceeded our expectations on every level. I can't wait until our next family photo shoot with Jen. We hired Jen to take some photos of us on the beach while we were on our honeymoon on Maui. We were so happy with our decision! She had great suggestions for locations. When we met her, she was genuinely kind, laid back, and fun to work with. Our photos are amazing - she had great pose ideas and the editing (photoshopping the strangers out of the background) is perfect. Our beautiful photos are now up on our walls and I refuse to shut up about how much I love them. I highly, highly recommend working with Jen. She is worth every penny! Jennifer is an AMAZING photographer! We have used her twice, and she was recommended to me by one of my friends. She is friendly, patient, and has a truly beautiful talent. I can not say enough good things about her and her work. Do not miss an opportunity to hire her! Simply put ... Jenn is FABULOUS!!! 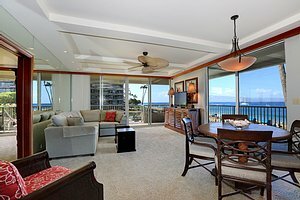 We have used Jenn twice now to photograph our two condo units at Honua Kai and her work is truly outstanding! We just recently upgraded our condos with new wood flooring and artistic accents and I immediately called Jenn to book her for the shoot ... she is a consummate professional and is extremely reliable and punctual, and arrived as scheduled this past Tuesday for the dual-condo shoot. We received the photos (50 photos were processed in just one day!) last night and ... WOW!!!!!! 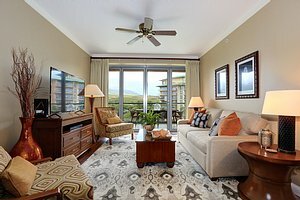 My wife and I were BLOWN AWAY by the incredible images taken by her ... she captured our condos in ways that we wouldn't have otherwise imagined ... she has a fantastic eye for detail and because of these AMAZING photos we are now confident that we can justify an increase in our rental rates. The combination of our new flooring and staging decor, along with her brilliant photography is a WINNING package! If you're looking for a gifted photographer do NOT hesitate to hire Jenn ... it doesn't get ANY better!!! After working with A Place in Time Photography, Jennifer has taken real estate photos for my business over the last several years. Whether it was in Kaanapali or Kihei, her work has been impressive and receives compliments over the years. Thank you for the quality images, fast turn around time, and competitive pricing. Jen is such a gifted photographer, I can't explain it , she has an eye So natural for capturing the most amazing photos, I had a pre Christmas photo shoot with my 3 legged angel Maya, and I kept telling Jen I don't photograph well at all, I have paralysis in my face so I'm very self conscious of any photos of myself. When I saw my photos I literally had tears , they were so beautiful and natural, she captured what no photographer has ever and I can't say enough wonderful words to express my gratitude. Jen is fun, professional and laid back all in one. I'm thankful to have the most amazing pictures to last a lifetime with my Maya. I can't wait to get my family & friends here for another photo shoot with Jen. She's the best! Thank you a million times over Jen! You Rock! I found A Place In Time Photography based on Yelp reviews and Jennifer certainly delivered on my expectations. I worked with her remotely from California to photograph our recently renovated vacation rental. I told her my vision, which was slightly different from the traditional real estate angles most want (I wanted some Instagram worthy images of details as well as the traditional for social media), and she nailed it. Besides getting exactly the images I want, I received the photos in TWO DAYS!!! That is like unheard of in the photography industry. I'm used to it taking 1-2 weeks or much longer. (Imagine being able to post your family photoshoot in Maui when you are still in Maui?!?) She went above and beyond to stage each picture perfectly, and I am so grateful for her attention to detail. It was hard to not be there to provide input on the shoot, but I didn't need to worry. I highly recommend A Place In Time! Thank you Jennifer! My dogs are getting older so I sought out a photographer to capture them while they still were healthy and doing what they love. They love to ride on my SUP board so I wanted to capture that very special time I spend with them. Not every photographer could do such a unique and challenging shoot. I thoroughly enjoyed my pet shoot on the beach. Jen was great with my dogs and captured my two furbabies perfectly. She was able to really capture a typical morning at the beach along with great action shots. I am very pleased with the results and would highly recommend her. Images attached. We went to the beach to have some good fun and Jen got it all down on film. This is Maka's happy place where she can swim, body surf and dig holes (not allowed at home!) Jen got such great pictures of my girl! The whole photo shoot was very natural. I just let Maka do what she loves the most and Jen caught her in moments of pure joy. Although Maka is very good at posing, she is also high energy and in constant motion at the beach. Great job of getting her in action! I will treasure this day forever! Jen embodied the Hawaiian Island spirit, helped to convey that feeling to us and it was apparent & captured in each of our photos. On a beach on an island where everything is picturesque, Jen utilized her uncanny ability to arrange, recognize and capture many beautiful moments during our shoot. It was more than just a job for her, she put a priority on understanding our wants/needs while being very personable about her skill and did an excellent job making all of us feel very comfortable and relaxed during the entire process. If you want someone who's pleasant to work with, who actually cares about you and works extremely hard to make you happy - then A Place In Time Photography gets our highest recommendation. JEN STANDS OUT FROM THE CROWD!! On Maui, there seem to be as many photographers as there are tourists. Jen Rogers is the cream of the crop. Her talent is for capturing you and your family at your very best in a stunning setting. She is a true artist, and a real professional that knows how to work around the surf, the breeze and the shadows from the sun and take pictures that will become your favorites. My husband and I used Jen to take our 25th anniversary photos. The pictures were so stunning, that when we returned to Maui to celebrate our 26th, we hired her again. She blew us away by taking another round of pictures that we and our family adore. Her website is comprehensive and tells you how to make the most of your session in detail, while offering a variety of settings. A Place in Time Photography is the only one we would consider. Jen really is the best of the best. Just look at the photos on her website. We were SO HAPPY with the entire experience with Jen! Her prices are very reasonable, she was quick to respond to emails, gave us wonderful directions to find the location we were using, and we had a lot of fun. She has a wonderful spirit and made us all feel very comfortable as soon as we got started! We couldn't be happier with the memories she captured of our family! We received our proofs very quickly and can't wait to get them printed, sent out to family, and displayed in our home. Jen even made sure we didn't have any questions about the island before we left our session - we sure appreciated that. It really felt like spending time with an old friend! You can tell she loves what she does and that shines through her work. Highly recommend Jen! Jen is simply outstanding! We had a great time interacting with her throughout the process. From suggestions on place and time to what to wear, Jen provided us with everything we needed to have a memorable photoshoot. She also well versed with Maui and can provide great tips on what to explore/experience. Thanks Jen! WE ARE REPEAT CUSTOMERS!! Jen has wonderful ideas for location, is patient with the kiddos, so quick to provide sneak peeks and proofs, and captures amazing moments! She is so quick to respond to my emails and texts. When we return to Maui again next year, I'll be calling Jen again! This last session at Charlie Young beach was breath taking. We paid for a specific package and when we received the proofs, my husband and I fell in love with every single proof she gave us, just over 50 images. We ended up purchasing ALL of the images! Don't pass up a session with Jen! Thanks Jen for everything! Until next time! Jen was a fantastic photographer! My husband and I were celebrating our 25th anniversary on Maui with our two girls and their boyfriends. Jen was the perfect person to capture these amazing moments together. She was extremely knowledgable about different beach options for the shoot as well as responded to all of my questions ahead of time in a very timely fashion. She was very easy going and wanted to capture exactly what we wanted. We received our sneak peak and the final photos very quickly which was amazing!! Could not recommend her enough!! Jen was an absolute pleasure to plan my daughter Ashley and Will's engagement photoshoot in Maui! Jen is very passionate about her photography; just look at her incredible pictures! Jen took the most amazing pictures of Ashley and Will's engagement! She captured the true love the two have for each other! They are using one of the photographs as their Save the Date! Do not hesitate, just book Jen!!! Jen was very attentive to details. She was able to make recommendations for location / time / poses. We even got to pick the shots that we wanted to keep. We hope to have a chance to return to Maui to work with her again. We actually ended our photoshoot early and did not need the full time because we were getting tired. If it was up to Jen I think we would have had even more shots. She is a true professional. Jen was fantastic! We so enjoyed our pictures with her and they came out much better than we could have anticipated. We laughed, smiled and really got some great photos. We'll definitely be using her when we come back to Maui with our kids!! Thanks! I picked Jen because her website had a ton of great pictures and valuable advice. She is quick to respond and was very helpful. She made my husband and me very comfortable in front of the camera. It was great that she had lots of suggestions for poses, because I am pretty clueless. She was fun to work with, and we got a lot of really nice pictures. You can tell she loves what she does! Jen is an amazing photographer and very easy and professional to work with. I would highly recommend her. We selected her to take family photos in Maui during Spring break 2014 because of her excellent Yelp reviews. When I contacted her she was responsive and professional. She made it very easy to get everything booked, deposit paid, location picked out, etc. She also got us the sneak peaks and photos quickly. Upon meeting her for the shoot, we immediately liked how friendly, kind and easy she was to work with. She was great with our 6 year old! Most importantly, the photos are STUNNING. She absolutely captured the beauty of our surroundings and our connection as a family. We have had many family photos taken and these are by far the best. After having our first baby, we decided to do a family photo shoot. Jen Rogers was amazing from beginning to end. -I was very impressed how kind and thoughtful she was during the shoot. She was also open to ideas that we wanted to try. Jen also knew how to work well with a baby. She was quick and efficient to make sure that we got the shots we needed. -Her communication throughout the process was excellent. She organized the meeting place and time very clearly. After the shoot, she sent us our photos in a very timely manner. And when we received our photos, we couldn't be happier. Our family highly recommends "A Place In Time Photography". When I was looking for someone to photograph our family on our trip to Maui I immediately checked Yelp for recommendations. Jen seemed like the best bet and I emailed her as well as a few other photographers. I heard from Jen first and she was the most reasonable with a fantastic portfolio. I liked that she had experience with kids, as we have an infant. She was really patient with our baby and our attempts to soothe her. She directed us on shots and choreographed the pictures when we didn't really know what to do besides stand there and smile. She has a great vision. Her pictures were beautiful, we will always treasure them. The turnaround time was also fantastic. Jen Rogers is one of the best photographers our family has worked with. She is very kind, has a fun personality, is great with small kids, and she makes you feel comfortable during photo shoots. Our 22 month old son tends to be very serious in pictures and rarely smiles -- Jen is the first photographer to ever capture his true personality and smile in a picture and we're so thankful for that! Jen is also very responsive and flexible. We had a sneak peak of our images just a couple of days after our session and we had all of our final prints within two weeks. They were even delivered in a nice leather book with a personal note! We will definitely be contacting Jen on our return trips to Maui so that she can continue to help us capture some of our best family memories! Jen Rogers visited our rescued wolves and wolf-dogs at Wild Spirit Wolf Sanctuary in New Mexico and spent a few days getting to know her subjects and putting herself in position to get a wide variety of beauty and action packed photos. Owing to Jen's experience and skill with animals, people and of course the camera, it was a very positive experience for two and four-legged alike. The proof is in the resulting magic captured in images of those that mean so much to us. From the first hand-shake to the time the CD arrived packed full of awesome photos, the experience was as enjoyable as it was professional. We highly recommend Jen Rogers. Yesterday we spent the evening with Jen photographing our 3 year wedding anniversary. It was really hard for me to find a reliable photographer until I found Jen. She is sweet, talented, accommodating, trustworthy and made it so comfortable for my husband and I. We both highly recommend her and can't wait to keep coming back and documenting our love story through her. I can't begin to tell you how pleased I am with my experience with Jen. She is such a good communicator and would email me promptly. She is very kind, great with small kids, and easy to get along with. 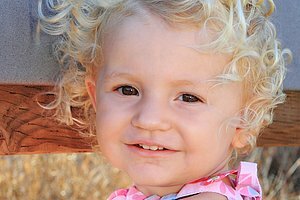 She took her time with out photo session and offered great suggestions to make our pictures turn out the best they can be. There was a potential storm coming and she was very flexible with rescheduling to avoid the storm. Our pictures turned out great and the CD came in the mail quickly. 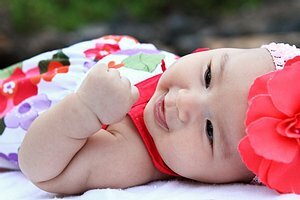 I highly recommend families looking for a photographer in the Maui area. Thanks Jen for timeless family pictures! We just returned from a lovely two weeks in Maui to find the photo album that Jen sent us as an "extra" for the package we purchased. It was a great nice touch, with a nice note from Jen to boot. After doing a lot of internet research for photographers, we chose A Place In Time based on the beauty of Jen's photos, and her glowing reviews. From the moment we first conversed by email to the surprisingly quick delivery of our CD and photos online, every dealing we had with Jen was flawless. She is beautiful, kind, witty and made us all very relaxed...no small feat when dealing with two teenage boys. She has a lot of passion for her work (and for animals, another passion of hers!) and the quality of her photos is top notch. I was amazed how relaxed and happy we all look in our photos, which is a direct reflection on Jen! I enthusiastically recommend Jen and A Place In Time, and look forward to seeing her again when we next return to Maui! 1) I liked the photos on her website: It was exactly what I was looking for for our family portrait. 2) Her wonderful Yelp reviews: I mean, come on, 15 of the 16 reviews gave her a 5-star rating! That really says something about a business! And now I'm happy to add another 5-star review for Jen! Jen was entirely professional, helpful, friendly and fun from the moment I contacted her via email through the photo session and even in contact afterward. Jen asked what we were looking for in the photos; helped us to pick the best beach site that fit our needs; and was so warm and welcoming when we met her in person that we all felt comfortable with her. Jen is very efficient also. Our sneak preview of photos was posted within a couple of days, and then our entire session was completed and available for us (with copyright release) within our week's stay on Maui. When we arrived home after two weeks the photo disc and album were already waiting for us. I will tell anyone and everyone traveling to Maui to book a session with Jen and memorialize the trip! I'm so very glad we did!!! Thanks to Yelp, we found Jennifer to take family photos during our trip to Maui for Easter. She was very responsive to my questions and extremely sweet and patient with our three daughters (ages 11, 9 and 6). We spent about 1.5 hours with her and ended up with 123 awesome pictures, after many more were weeded out. We were able to view them online within a couple of days and she sent a nice album with some of our favorites and a disc with all of the images. All in all we paid less than $500 and are thrilled to have great memories of our trip to Maui. We had a great experience with Jen and highly recommend her services. She is very responsive, and was quick to turnaround our pictures. On top of that her prices are very reasonable. I wanted to get family portraits done during our Maui vacation. Jen did a fantastic job, even though my kids were starting to melt down towards the end of the session. I was thrilled that I got to see the digital prints before our vacation was even over! Thank you! I actually found Jen through another photographer on Maui who recommended a Place in Time when he wasn't available. 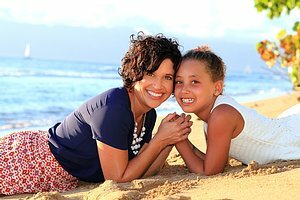 I always hold industry recommendations in high esteem and contacted her to do a 1.5 hour portrait session for my family when we were visiting Maui. Jen responded quickly and answered all of my emails (there were a few!) right away even on the eve of our photos when I couldn't remember where to go. She made us feel comfortable even though half the family is nervous in front of a camera and listened to what we were hoping for. Even the guys couldn't complain when we were done with our shoot, she made them calm down and took some funny candids of them being boys. The photos look great and it's difficult to pick one to frame. They were edited quickly and in my drop box account within the week. I don't have any complaints and only having glowing recommendations for her work. We decided to book a photographer for our Maui vacation. 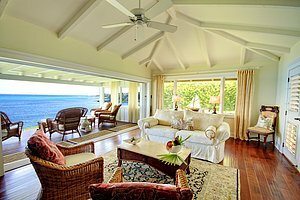 I checked Yelp Maui and found nothing but positive reviews for Jen Rogers. Her business is called A Place in Time photography. She was able to book a shoot for us and we met at the appointed time and place. It was immediately clear why Jen inspires such glowing reviews. She was great fun to work with and brought out the best in all of us. That's important when your family includes a ten year-old and a twelve year-old. Technical skill is one thing, interpersonal skills are another, and Jen clearly has an abundance of both. We'd be thrilled to work with her again. Jennifer Rogers, "Jen" is super nice, friendly, and makes you feel relaxed, happy and natural while taking photos. The result is fantastic! She is also very organized, and quick. I had my photo session on Sunday; she emailed me a link to the gallery on Monday night, and gave me the CD on Tuesday. You can completely trust her, and she is a delight to work with! A friend of mine saw the photo's she took of me, and spontaneously booked her for a session. She is very very good, and I highly recommend her to anyone who wants to take happy photos of a family, single portrait, or with friends. A session with Jen could be added as one of the activities to do in Maui! If you are looking for the best Photographer on Maui....look no further! 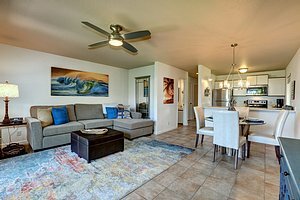 Jen Rogers, from A Place in Time Photography, was highly recommended to us from a successful Realtor on the West side of Maui. She is the consummate professional, has state of the art equipment and employs an artistic quality that makes the finished result gorgeous. Jennifer is amazing! I am grateful to the prior Yelp reviewers who helped me find her and A Place in Time Photography. Jennifer recently photographed my extended family (6 adults, 2 young children) at our hotel grounds and on the beach in Wailea. She was extremely patient, personable, and professional. She got amazing shots and the photo shoot was really fun. Can't agree more with prior posts about what a joy it was to work with Jennifer - she is super responsive and professional. We got our digitally edited CD in the mail before we had unpacked from our trip. =) I thought her price was very reasonable for the number and quality of shots we received. We are overjoyed to have such wonderful pictures to remember this special family vacation. I recommend A Place in Time without hesitation. To all mainlanders (and those on living on the island) looking for a photographer your search is over. Jennifer Rogers with a Place In Time Photography is as good as it gets. From the initial contact, which was prompt and friendly, to the delivery of the photographs, which were stunning, she was a joy and pleasure to work with. Her dedication to our family photographs was amazing. Jennifer knew our names and our personalities and even worked with that quirky uncle and obstinate child! She captured our family so beautifully. Without hesitation I recommend her for all your pictures. I cannot begin to write a better review on "A PLACE IN TIME PHOTOGRAPHY"
I went to Maui for the South Maui Triathlon and went onto the internet to try and find a good photographer. I called some photographers that came up on the first page of google. That was a HUGE mistake. They were rude, arrogant, and for lack of better words 'stuck up'. A good friend of mine told me to try Yelp and so that is how I found Jen. I could tell from her reviews her clients absolutely loved her, and this merely wasnt a job for her, it was her passion. She loves taking pictures, she loves animals, and she loves what she does. I called her before I even went to her website to check out her portfolio, I knew she was the one for me. I didn't want some photographer who made me feel rushed, or just simply "made me another client" I wanted someone to care about capturing love through a picture, and guess what Jen did just that. I called her up and said "hey i am this crazy girl and I want to take some pictures with my hubby and I would like morning shots to get the water and sunset shots also" Jen worked around my schedule and found THE PERFECT SPOTS TO TAKE PICTURES! I almost had to cancel with Jen because, the day before our shoot, I crashed on the highway on my bike and had terrible road rash and was missing lots of skin off my left arm, I told her I didn't know if pictures were a good idea and she said "okay but we can work around it." So....the next morning I got my dress on and tried to put a smile on my face, knowing dang i look like i just got in a gang fight with my scrapes, bumps, bruises....Upon meeting Jen she was professional, kind, and she had a great flow. I was so worried about how my cuts looked I wasn't having the best time ever. Not even an hour after the shoot was over I get an email, "hey don't worry so much look you cannot even tell anything happened." Jen edited a proof of one of the pictures so I could be "at peace". The night session was just amazing! Beautiful sunset and great scenery. I received my pictures quicker than any other photographer, Jen did an amazing job at capturing my husband and I being happy. I cannot recommend a better photographer. Now I have memories to last a lifetime. I found her rates to be very reasonable and her work to be excellent! For me, I like to print my own photos and use them in art projects around the house so it was important to get the digital images - not something all photographers will do, or if they do it is extremely expensive. Jen also was extremely accommodating - it was rainy up until the day of the shoot and she was willing to wait or choose the best time to do it. Luckily the weather ended up cooperating but it was a relief knowing that she would have been flexible. Many thanks to Jen and A Place In Time Photography! 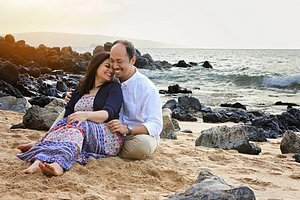 We were in Maui for our 10th wedding anniversary and wanted to have pictures taken at the beach. After doing some research and talking to a few different photographers I found that Jen from A Place In Time was a great match for what we were looking for. From minute one Jen went out of her way to communicate with us about places to shoot, and answered every question I sent her. She was personable, professional, and a fantastic photographer with a great eye. The 2 hours we spent with her felt effortless and the pictures were phenomenal. If you are in Maui and want pictures done please give her a call. These were some of the best pictures we have ever had taken! We used A Place In Time Photography on our second trip to Maui. We realized on our first trip to Maui that we had some great pictures but none with the whole family together. We had such a great time that we had to go back. We decided that since we loved the island so much that we needed to have great pictures to remember our great vacation. We called Jen on a recommendation of a friend. She made the whole experience fun for us and the kids. She took excellent pictures, was on time, was very reasonable in her price, told us exactly how to pose and got our pictures to us very quickly. It was a great experience for the whole family and my kids still talk about how fun it was taking pictures with Jen. It was a vacation with pictures that we will never forget. I can say with great confidence that Jen will take great pictures for you and help complete your Maui vacation. She is friendly, fun, punctual, and efficient. We feel we received a great value and have pictures of our family that exceeded our expectation. During our recent visit to Maui with our 18 month old, I realized I had to get some professional portraits taken during this amazing, once in a lifetime vacation. We may go back to Maui again, but our daughter will never be at this incredible age again! I searched on Yelp and called several photographers out of the blue. It was a Sunday afternoon and (surprisingly) three answered the phone - one of them Jennifer at A Place in Time. I got a great feel for Jen right away and hired her to come out the next day (on a holiday - Labor Day - no less). She was professional, reasonably priced and I loved what I saw on her website - great eye for detail, wonderfully talented photographer. Our experience from the moment we met Jen in person was superb. She's fantastic to work with, prompt/early to appointments, sincere and warm. Our daughter warmed up to her right away, giving smiles she has withheld from many other professional photographers! The location was incredible and our photos are priceless treasures. Jen delivered the goods and then some. She had a link to us with all photos viewable online within days. A mere day after that, we received her package in the mail with all photos on disks PLUS a lovely little photo album with printed shots of Jen's favorites from the 125 shots she took. We LOVE our photos, we loved working with Jen and we will definitely be calling her for another family shoot next time we're in Maui! Every time I visit Maui, I contact Jennifer to get photographs taken. Not only a professional, Jennifer has a true gift for taking the perfect shot. She has the ability to capture that "something" in people and nature that very few people can. Photographs are the one tangible piece that we have for holding our dearest and most precious memories and Jennifer is the one I trust with that when I visit Maui. Don't even hesitate to contact her on your next trip. I whole-heartedly recommend her! Jen has taken photos of our family in Maui 2 years in a row now. The photos exceeded my expectations. We wanted the standard family photo and lots of candids of us on the beach and surfing. 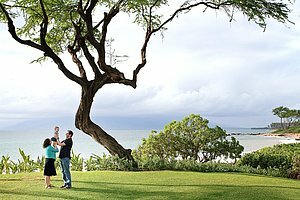 Her photos captured perfectly my family as well as the amazing backdrop of Maui. She was amazing! We have a wonderful library of fantastic photos. She was a pleasure to work with too. Very professional. And very reasonably priced. I cannot say enough good things about Jen and her business. We will definitely call her next time we are in Maui for more photos. I've lived on Maui for over 17 years and was introduced to Jennifer via some photographic work she'd done for a friend's wedding. Working in graphic design, it was easy to recognize her talent for artistic design that she subsequently applies to her work. I hired her talent to capture a dear friend's honeymoon. She did not disappoint. She picked beautiful sites in which to shoot all the while keeping in mind the comfort-level of her clients (my newly-wedded friends were leery of the the ocean). Her work was done w/aloha and professionalism w/the end product being a once-in-a-lifetime experience that my friends will always treasure both mentally and via all the wonderful pictures and video that Jennifer captured. They watch it all the time! Jennifer provided a professional experience while creating an environment that allowed my friend's to be comfortable so that they could express themselves and their intimacy w/ease. Highly recommend "A Place in Time Photography". Jennifer met us at our hotel in Kaanapali. This was the first time all of my family was together for a vacation. 5 adults and 5 children, ages 5-11. She was wonderful and took pictures in the garden and on the beach. Her prices are reasonable and she is a pleasure to work with. I would use her again. My wife, 2 year old son and I took a trip to Maui. We wanted to have some pictures taken to capture our son at this really cute age he's at. We found Jennifer here on Yelp. She was great to work with. She took some very nice pictures under difficult circumstances (getting a two year old to smile). We had the final pictures in less than a week. Thanks for helping us capture this time in our son's life! Jennifer was wonderful. Good website, promptly returned calls, showed up on time and took wonderful photos. It wasn't easy with six adults and six kids under 10 but Jen was extremely patient and even let the kids take photos with her camera! I will definitely call her to work with us again and highly recommend her. Jen,Thanks again for everything in capturing the wonderful moments of our 50th wedding anniv. We loved all the pics of everyone,and had a very hard time choosing the pics we wanted. Thanks for helping to make our 50th so special and such a memorable experience! Thanks,too,for being so patient with all of us,you took some great and unusual shots. We miss Maui already. God Bless! I could not be more thrilled with our experience with Jen/A Place in Time Photography. While planning a trip of a lifetime (our entire 11 member family altogether), I researched photographers here on Yelp, and hands down, Jen appeared to be our best choice. And she was. From start (booking/deposit) to finish. Among my large family we had 9 adults & 2 children. And a couple of strong personalities. Jen was completely professional & relaxed, and put our whole group at ease. She got SO many good shots! And moved us around to 4, or 5 backgrounds, getting as much variety as she could. The pictures look amazing. I am so grateful to Jen & her amazing artistry with her camera lens & editing skills. I would & have, highly recommend A Place in Time Photography, on your next trip to Maui. Can't say enough about how great Jennifer was to work with and the quality of the photos she did. We did family photos with our two kids (youngest being 8 months). She was very patient and the kids loved her, making our photos a success. We followed her recommendations on timing and location and she was spot on. She even had some sample pics posted to share within a few hours. Thank you Jennifer! The rave reviews are correct. Jen was professional and prompt in her communication. Her photos were excellent, and she made all of us comfortable every step of the way. We ended up with some great shots. We go to Maui every few years and I will be going back. Jen did a fabulous job taking photos of our family in celebration of our parents anniversary. She took great photos, picked a great setting and was extremely friendly and accommodating. Highly recommend her! I recently came to Maui for the second time with my boyfriend and wanted to plan something really special so we could share our memories with our wonderful family and friends back home. I found Jen at A Place In Time Photography on Yelp and after reading her glowing reviews, decided to give her a try. She was really awesome from day one. She was willing to work with me to figure out the perfect place and even gave some detailed suggestions for what time of day to have our photo shoot that I hadn't even thought of. The session itself was super fun, she was very easy going and great to work with. My boyfriend isn't super comfortable in front of the camera, but even he was laughing and enjoying himself in no time. We had the photos in barely a week and an online gallery to send to our friends & families. I couldn't be happier with the photos or the photo session and would highly recommend A Place In Time Photography! Mahalo, Jen! Jen of A Place In Time Photography is GREAT! 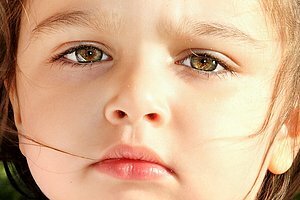 She took amazing pictures of my almost 2 year old. My daughter was running every which way, and Jen still managed to grab so many great shots we can't decide which ones to put on the wall. Thank you Jen! You are a true professional. 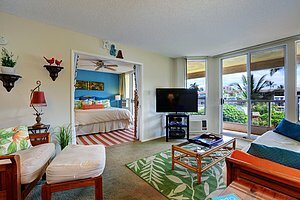 Jen Rogers was referred to us by our real estate agent after we purchased a condo in Kihei a couple of months ago and redecorated it as a vacation rental. We launched 7/1/16 on both VRBO and Airbnb using photos we took on our iphones. Activity and guest bookings had been going pretty well. Jen photographed our units on 8/10, we uploaded her photos on 8/17 and BAM! almost immediately we had two instant bookings! Traffic on both websites has skyrocketed and we are booking guests like crazy! Jen is absolutely delightful to work with and her photos are stunning. You can see examples of her work by going to: vrbo.com/882513 and vrbo.com/883071. My only regret is that Yelp doesn't allow more stars. Hire Jen - she's amazing! From beginning to end Jen was responsive, timely and a pleasure to work with. We have received SO MANY compliments on the photos we received from our photo shoot. We are very happy with our finished product...she was able to achieve the great family shots we were looking for without the traditional "cheesy" Maui beach shots and poses that we saw with other Maui photographers. Jen offered many different locations to shoot as well as different times to accommodate our family and our travel plans. Her prices are very reasonable and I will not only highly recommend her to others but also plan to use her on future trips to the island. I have used a number of different real estate photographers in the past, but none more professional, or as talented, as Jennifer. The samples of her real estate and family photos on her website were very impressive, but it was her large wildlife photography portfolio that really convinced me because it showed what a versatile photography she really was. Her communications were clear and prompt. On meeting her, she was warm and friendly. The entire process was very easy. The photos blew me away. Absolutely stunning. I could not have been more happy. I highly recommend Jennifer for any real estate or family photography.